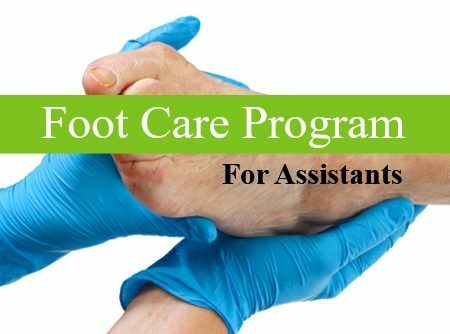 Hands-on Training Availability. Professional Education offers groups and facilities a hands-on skills class for safe electric filing. 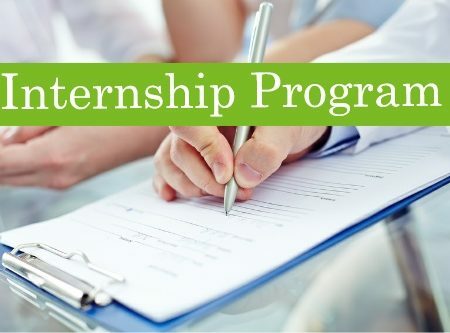 Click here to contact us for details. 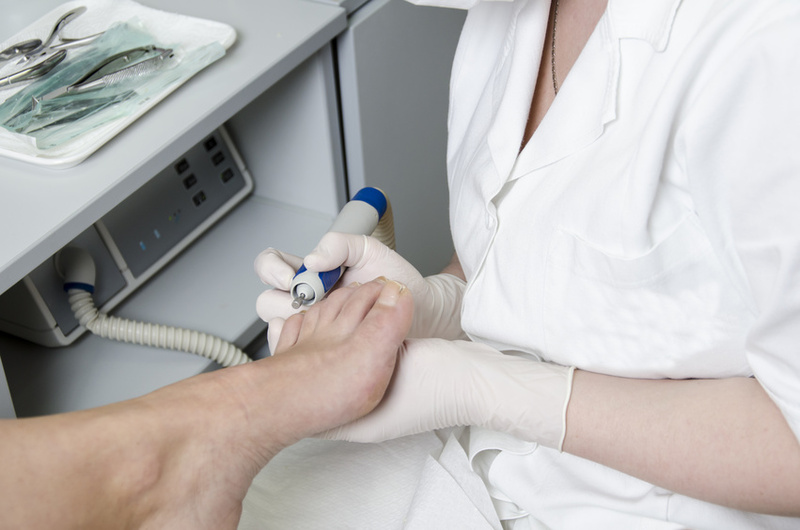 Electric files can be the most productive and safe way for callus reduction, nail shortening and smoothing. 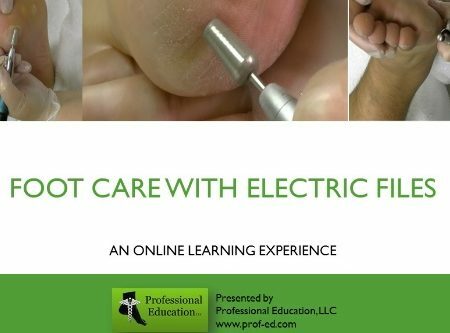 Includes video demonstration of various techniques you will need to know for using an electric file throughout a foot care service. The proper use of an electric file can be more comfortable for your clients and ergonomically beneficial to you, as well. 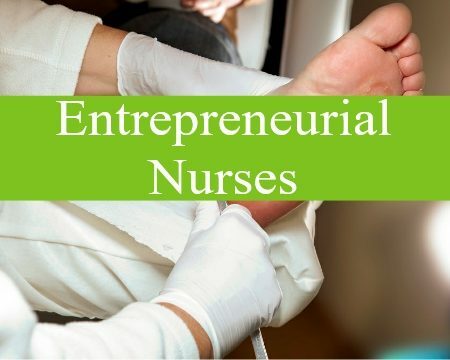 This presentation will teach you higher-level techniques for performing more profitable services. 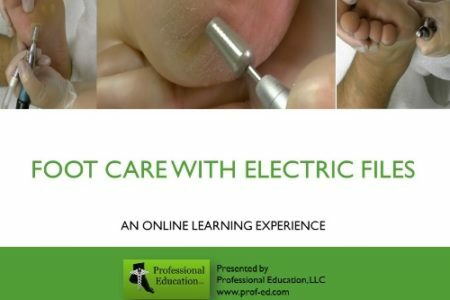 This course on electric filing for foot care was very informative. 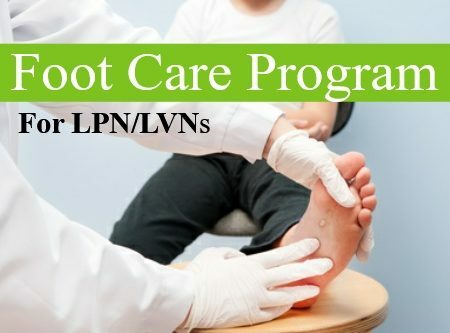 I am in the process of setting up a new Foot Spa in conjunction with a podiatry office and the details covered will help me immensely. 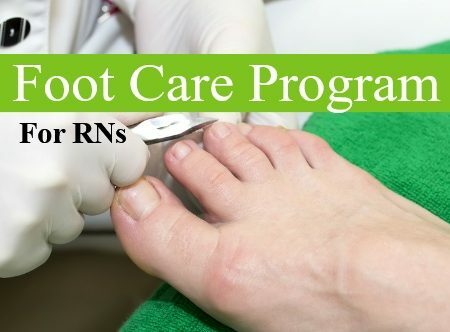 The demonstrations of the different techniques for safe foot care were good, too! Thank you for your kind words, Denise! We are glad you will put the information to work right away!